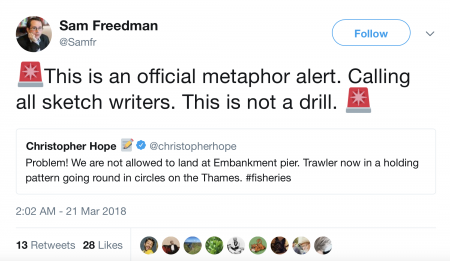 Jacob Rees-Mogg was due to take to the River Thames today in a Brexit protest about fishing policy but things didnt go entirely to plan for the Tory MP after this happened. Which meant he had to do this. 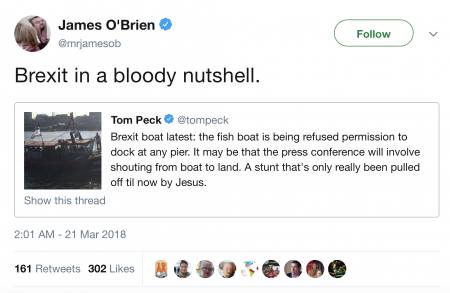 In Rees-Moggs absence someone else got on the boat instead. 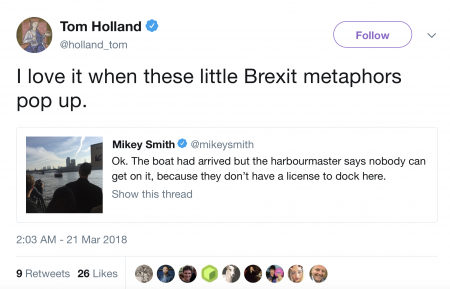 And lots of people were quick to point out the same thing. 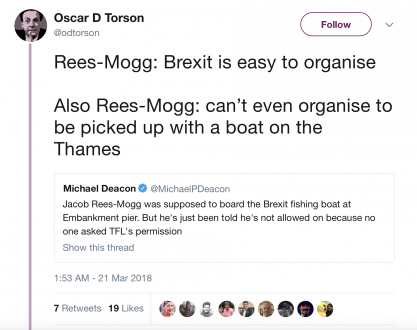 Heres what Rees-Mogg had to say. 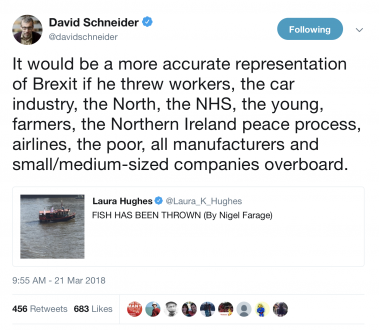 Journalist: "But it does appear that we [Britain] are the ones making most of the concessions." 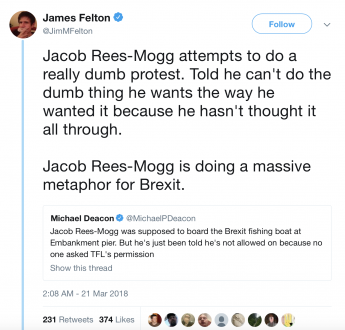 Jacob Rees-Mogg: "Well, that shows that we know how to negotiate"